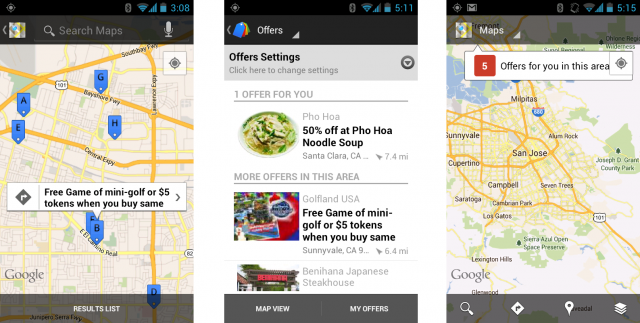 Google has updated the Google Maps for Android app to include local Google Offers and indoor maps. So now when you are out and about, you can quickly scan to see if there are any excellent offers available near you via Google Offers. You can scan them by location, on a map and use the offers now or later. Plus, Google has brought the indoor version of Google Maps to your phone in the latest Android release. This can come in handy for many shoppers.